Tensions have soared along the India-Pakistan border in Jammu and Kashmir, as the Border and Security Force (BSF) and Pakistan Rangers exchanged cross-border gunfire on Saturday. The BSF, in retaliation to cross-border firing, destroyed six Pakistani posts and killed four rangers, media reports said. According to a report on The Indian Express, two civilians and an army jawan were also killed in unprovoked mortar shelling by Pakistani troops. The report added that the civilians have been identified as Ghara Ram of Kapurpur in RS Pura sector and Ghara Singh of Abdullian village. 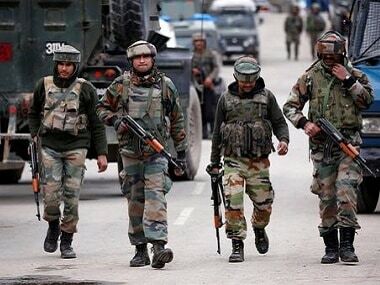 The recent action by the BSF came after four people, including a BSF jawan, were injured after Pakistan violated ceasefire for the third consecutive day on Saturday in three districts of Jammu and Kashmir along the international border. Responding to the cross-border firings, Union minister of State for home Hansraj Ahir said that Pakistan has a twisted mindset, and asserted that India will "respond with 10 bullets for every bullet fired" by the neighbouring country. 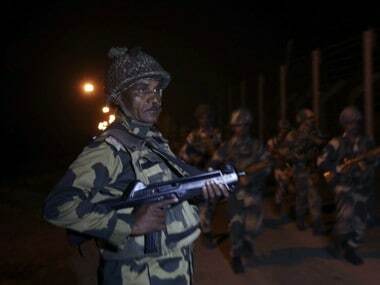 "Sending terrorists into India, violating ceasefire has become their (Pakistan's) nature. They have a twisted mindset. Be it our home ministry, defence ministry or the Jammu and Kashmir police, everybody has to keep coordinating and give a reply to Pakistan's misadventures," Ahir said, speaking to reporters in Yavatmal, Maharashtra. Pakistan rangers targeted villages along the border from Chenab river (Akhnoor) to RS Pura throughout the night in heavy unprovoked shelling and firing, a BSF officer told PTI on Saturday. 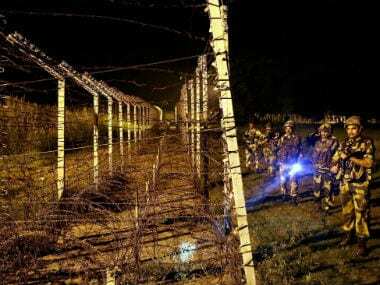 Pakistan rangers continued to fire and launch shells along the border in Arnia, Ramgarh, Samba and Hiranagar sectors till 5 am, a police official said. 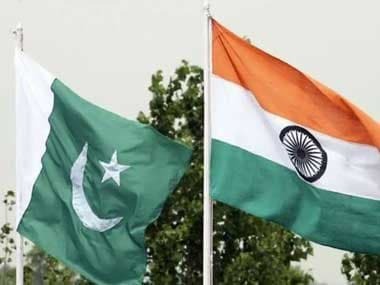 Angered over the rising violence, Pakistan's foreign ministry summoned Indian deputy high commissioner JP Singh on Friday and condemned what it called "unprovoked ceasefire violations". Indian and Pakistan have both accused each other of initiating past border skirmishes and causing civilian and military casualties. The fighting is taking place along a somewhat-defined frontier where each country has a separate paramilitary border force guarding the lower-altitude 200-kilometre boundary separating Kashmir and the Pakistani province of Punjab. The contentious frontier also includes a 740-kilometre rugged and mountainous stretch called the Line of Control that is guarded by the armies of India and Pakistan.